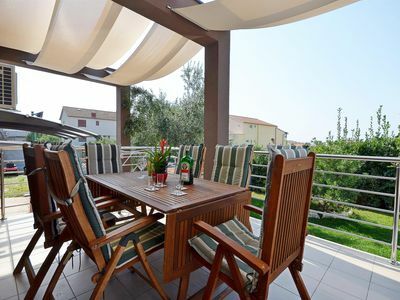 Villa Amelie is a gorgeous family house in the vicinity of Novalja. 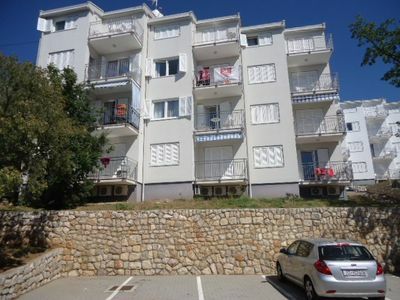 It is composed of 3 bedrooms, bathroom and a balcony on the first floor. 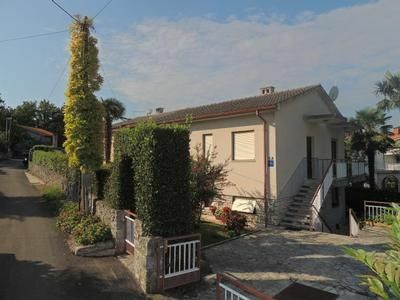 On the ground floor of this family house is a kitchen with small storage room, living room, second bathroom and an additional toilette, washing room with washing machine, terrace with table and chairs, pool, outside grill and sink. Each bedroom is equipped with a double bed, night stand, mirror, AC unit and satellite TV. The bathroom has a shower, 2 sinks, toilette and a bidet. 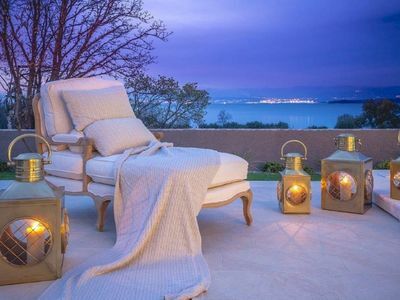 The balcony with table and chairs has a gorgeous sea view and a view of the countryside. The kitchen is equipped with dishes and cutlery, an oven, microwave oven, big fridge with an ice maker and freezer, dishwasher and a stove. The kitchen table is for 6 persons and the living room area is equipped with a sofa , big flat screen tv and a coffee table. 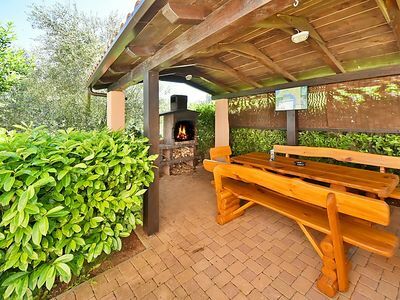 From the living room there is an exit to the terrace with table and chairs, grill and an outside sink. 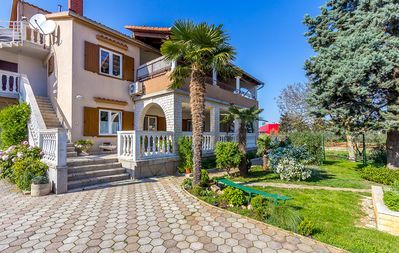 Guests have acces to the garden and the paking space. But the most memorable part of the entire house is the pool, providing the guests with a perfect setting for a memorable vacation. 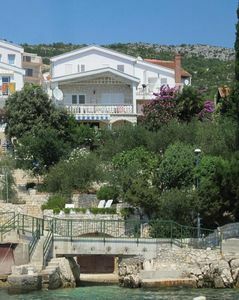 The house is located in a quiet village of Skuncini stani approximately 3 kilometers from Novalja on the island of Pag. 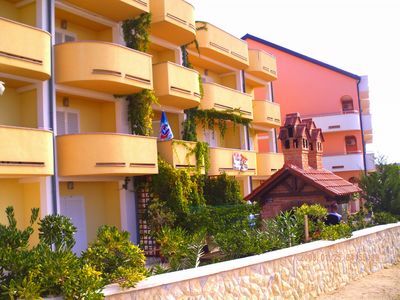 The beach and the sea are about 250 meters from the house. Island of Pag is famous for the local sheep cheese, lamb, olive oil and lace. We recommend visiting the olive groves of Lun, the cheese factory in Kolan and the salt production facility near the town of Pag. Town Pag is a great example of the stony island architecture and a good place to buy some exquisite local hand made lace. There are many beautiful beaches across the island but the most famous is Zrce beach - the home of festivals such as Hideout, Croatia Rocks, Papaya Day&night, Barrakud and Sonus.